Fox News' Sean Hannity is not happy that Media Matters for America appears to be trying to get him fired over the recent controversy surrounding the coverage of Seth Rich's murder on "Hannity." On Wednesday, he addressed the organization in a series of heated tweets. Media Matters, a not-for-profit group that monitors conservative media and has historically gone after Fox News, posted a list of Hannity's advertisers, just in case anyone wants to boycott his show. The group, known as MMFA, also calls Hannity a "bigot, a sexist and a conspiracy theorist" on the page that lists his advertisers. On Tuesday night, Hannity made it clear that he isn't leaving Fox News anytime soon, despite attempts by critics and MMFA to "get me fired." "I serve at the pleasure of the Fox News Channel and I am here to do my job every night. I am under contract. As long as they seem to want me," he said on "Hannity." Hannity started defending himself on Twitter bright and early on Wednesday morning. Hannity also tweeted the links to a variety of stories accusing Media Matters of trying to "stop" conservative powerhouse Breitbart News and detailing George Soros' involvement with the group. The "Hannity" namesake ended his barrage of tweets with a message thanking fans that have stood by him. Hannity announced Tuesday that he will no longer discuss the July, 2016 murder of DNC staffer Rich — for now, anyway. 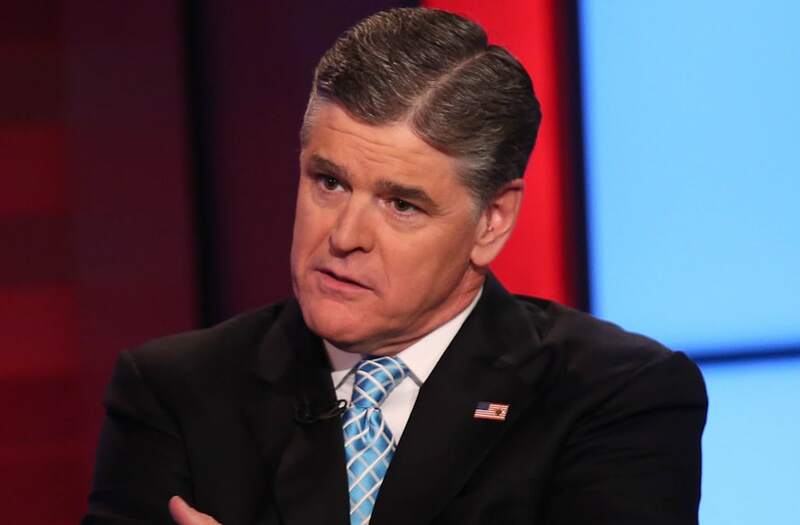 "I totally completely understand how upset... how hard this is on this family, especially over the recent coverage of Seth's death," Hannity said, adding that he had reached out personally to the Rich family to offer his condolences. "Out of respect for the family's wishes, I am not discussing this matter at this time," he said.